The holidays are fast approaching and to give a helping hand to those less fortunate, the Villas at Rockville will be having a charity event on December 2nd in the party room from 1pm-3pm. To make a contribution, attending residents are asked to make a donation to Manna Food Bank and/or The Salvation Army through their Angel Tree. The Angel Tree is a program that started in Lynchburg, VA in 1979. The program provides gifts of toys and clothing to children in the community who might not have anything for Christmas. The children's names are written on paper angels and placed on the tree. Those attending the event may bring canned or boxed food items for Manna, and pick a name from the tree who will receive their holiday gifts. The event will have cheese trays and wine for the adults and hot chocolate, sandwiches and cookies for the kids. 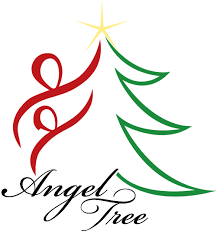 In order to have the gifts delivered to the Salvation Army on time, the deadline for Angel Tree gifts is December 9th. For directions on the Angel Tree you may see a staff member in the property office at 1699 Yale Pl. Rockville, MD 20850. Or call (301) 424-6326.